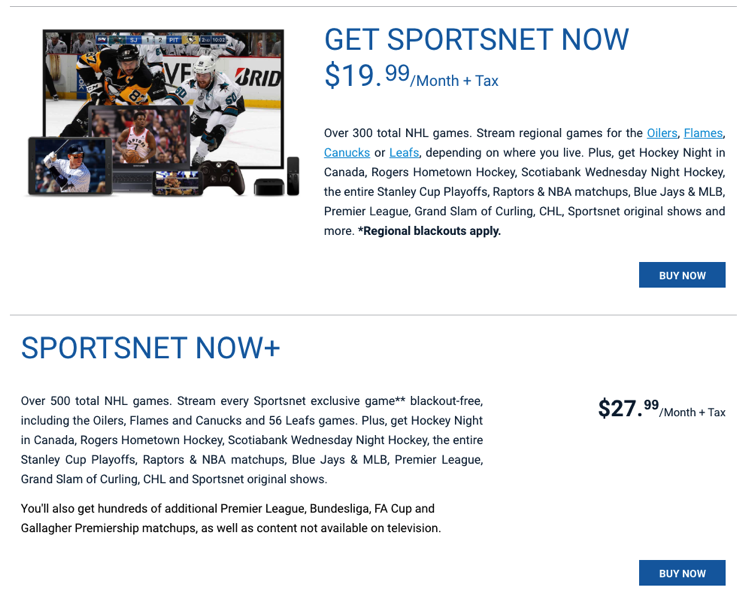 Rogers has expanded their SN NOW direct to consumer offering, debuting a new tier called SN NOW+, which is available for $27.99 per month, which includes more NHL games than the regular SN NOW tier, free of regional blackouts. Rogers says SN NOW+ includes everything available in SN NOW, but offers “more than 500 blackout-free games,” referring to NHL games available on Sportsnet. With SN NOW+ at $27.99 per month, the original SN NOW sees a price drop to $19.99 per month (previously $24.99). SN NOW launched back in the spring of 2016. Both SN NOW and SN NOW+ will be available on the web and also through the Sportsnet iOS app, Apple TV 4, Xbox One, PS4, and Google Chromecast.